Chiropractor Pretoria helps you find a local DC. 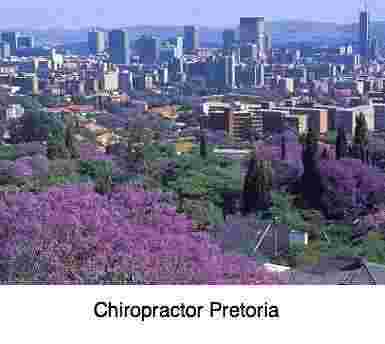 Chiropractor Pretoria is the city of jacarandas; this page helps you find a local DC and explains what and why we do things. The city has a long established tradition of excellent health care. The first men and women established the art and science of manipulation in South Africa more than eighty years ago. Modern Chiropractic was founded by Daniel D. Palmer in 1895. Chiropractor Pretoria has a long established tradition of excellent health care. Changing chiropractors is never easy, but fortunately you have plenty of choice at Chiropractor Pretoria; often it's best to have treatment for say your lower back from one DC, and your neck from another; there's no place for sentiment. Neck pain and headache can floor the toughest of human beings. Oddly, it's at the extremities of the body where pain is felt with the greatest intensity; the feet, the hands and the cervical spine and skull. Those parts of us that are most vitally in contact with the environment have the most sensory receptors. Those at chiropractor Pretoria are well qualified to treat you. It may be just a jammed facet causing incredibly sharp stabs, or a disc affecting the nerve that supplies the upper limb; then you may have tingling in arms and hands. If you have tingling in the fingers try to located exactly which are involved; it will help your chiropractor Pretoria make the diagnosis. 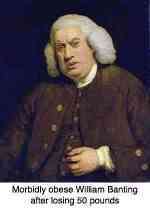 Also is the ache in the lower arm relieved or aggravated by raising the limb above your head? The sensory nucleus of the nerve that supplies the jaw joint and sinuses is located in the upper neck; a subluxated TMJ can cause very severe facial stabs and migraine headaches; and suboccipital discomfort. You'll find a lot of information about neck pain and headache at this site; use the search function which is found in the navigation bar on your left. That's because head neck pain care take up much of your chiropractor's time. The teenager with "poor posture". - pain in the midback. - And sometimes the lower back. - Often associated with a scoliosis. 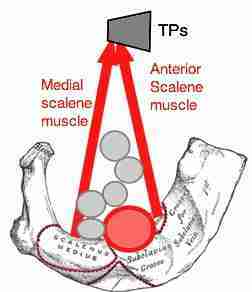 A leg length inequality (short leg) places unequal stress on the spine, increasingly the likelihood of a lumbar facet syndrome. Sometimes a simple heel lift can dramatically change the way your back behaves. Sometimes it does nothing, and occasionally may worsen things; your chiropractor Pretoria will help you decide. Have you got a short leg? Lower back pain with standing and walking slowly as in window shopping is the hallmark. Your chiropractor Pretoria will advise you. Because more than one nerve root may be trapped it may affect more than one dermatome, and the tingling is worsened by raising the arm, as in hanging the washing. What are phytosterols is a vital questions with the mounting research proving that too much animal protein in the diet is the cause of many cancers; it behooves all of us to start think of prevention. Now, before it's too late; your chiropractor Pretoria will guide you. Don't be surprised if your chiropractor Pretoria has much to say about your diet; it will affect your well being just as much as having a healthy spine. That means more vegetable protein, and nothing is easier than growing green beans; a dozen bush dotted around in the garden, or a few of the climbing variety up a rose trellis? But whilst I'm absolutely in agreement with the banters that we are eating too many starchy foods, and particularly those with a glycemic index like white rice, I'm utterly perplexed by the banning of legumes from their diet. That means more animal protein, in total contradiction with the message coming out from the world health organisation. Red meat in general, their scientists are saying, probably causes cancer, and the processed variety definitely does. Bacon and polony and the like should be kept for high and holy days. Just as important is to increase the phytosterols in the diet. These are the anti cancer substances in food. They are powerful antioxidants, protecting your cells against attack by free radicals; they also lower the cholesterol. One such compound, kaempferol, has such powerful anti cancer properties that researchers are looking to use it in the treatment of malignancies. Prevention is better, and cheaper and less painful than a cure; just get it from your greens. Lettuce, broccoli and kale are rich in kaempferol; enjoy it daily in your diet and you have strong protection against cancer. Celery on the other hand is particularly rich in apigenin, along with kaempferol; read more at J Agric Food Chem. Vegetable high in protein - reduce your reliance on red meat. Specifically for the prostate gland, men should eat a tomato a day and a substance called beta sitosterol which helps prevent the nasty enlargement that reduces urine flow. Half an avocado a day provides almost as much as you need. Focusing on foods to reduce inflammation is important for those who suffer regularly from joint, muscle and capsular pain. Also for those who suffer from inflammation of any of the organs such as blood vessels or colon too. You can find out more about kaempferol and cancer prevention at this link.